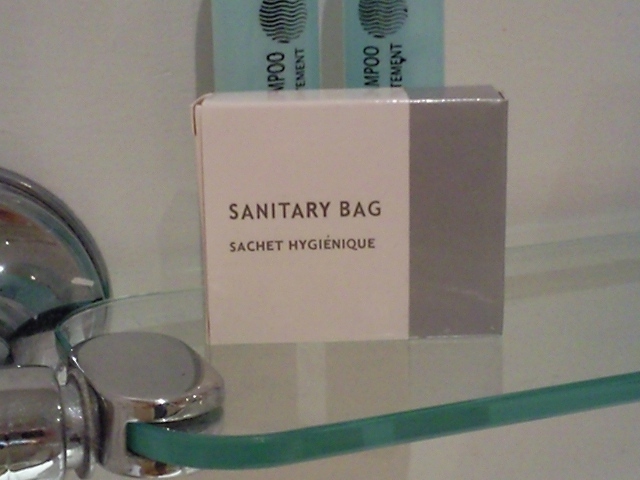 Sanitary bags are often provided in hotel rooms. They help keep the place clean and tidy. They can be dispensed from sanitary bag dispensers.